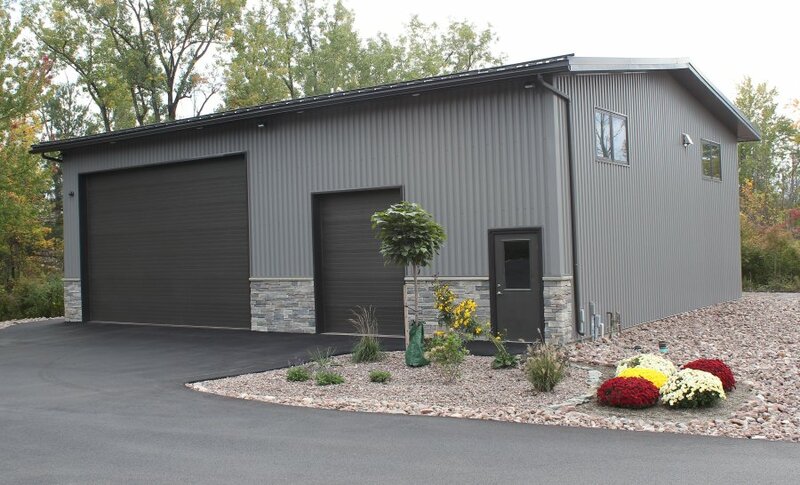 Dream Design Project - LBM Construction Inc.
LBM Construction, Inc. was honored to be invited by one of its commercial clients to work with them privately to apply the same Design/Build methods this client had experienced for their company with LBM to their custom-built home. 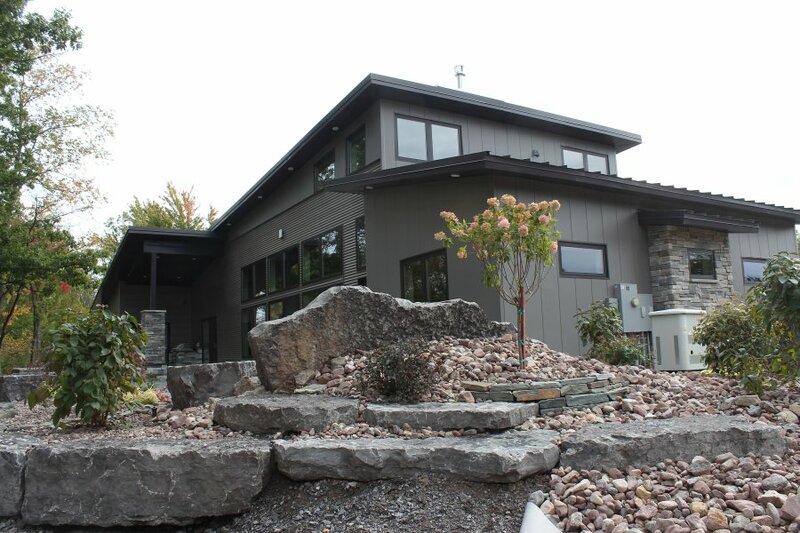 This ultra-modern and sophisticated home is maintenance free where elegance and efficiency abound. 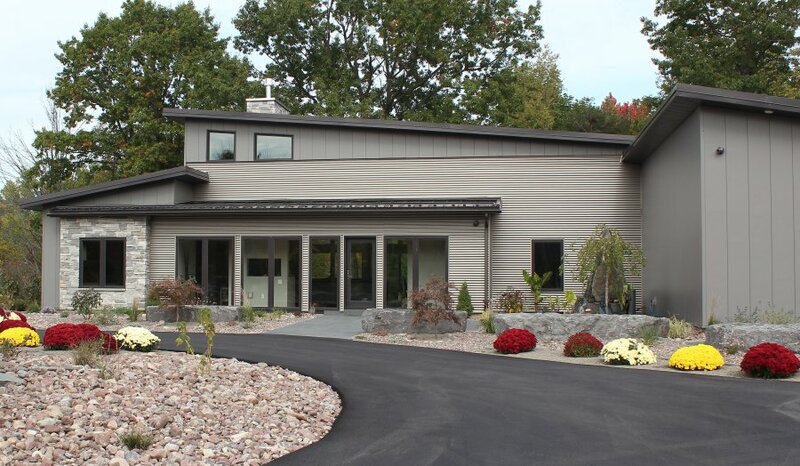 The entire home floor space features a five-zone, in-floor radiant heating system covered with beautiful Italian travertine floors. 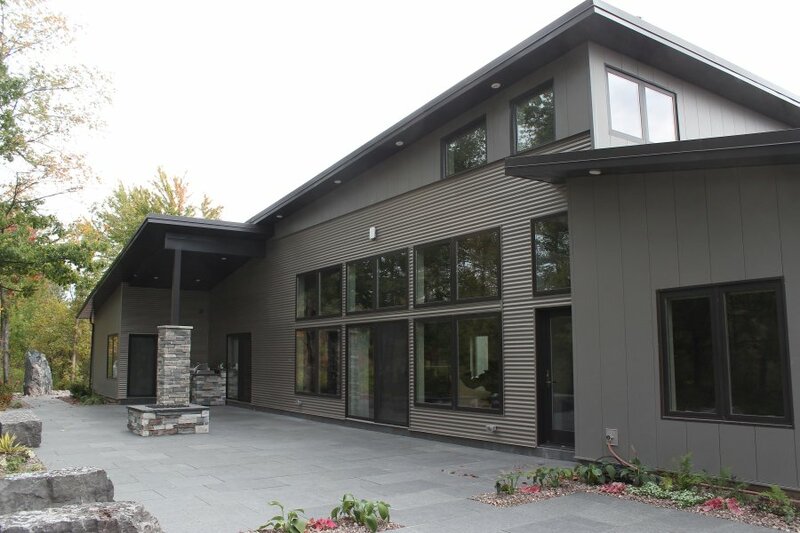 The home also includes custom granite and glass counters, custom espresso cabinets and shelving to feature the gallery quality artwork. 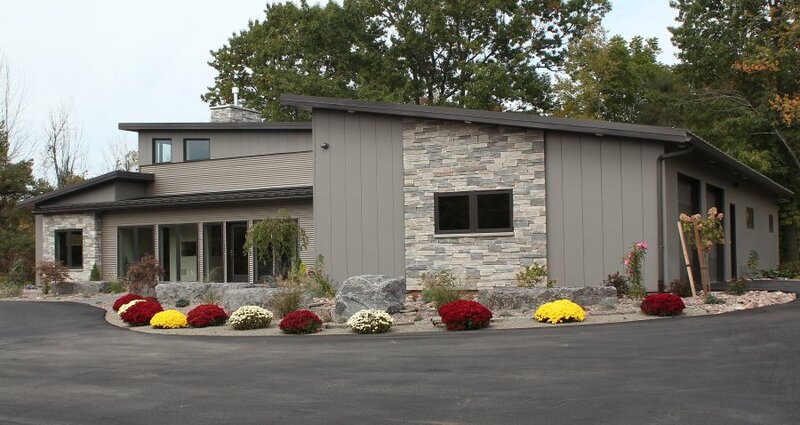 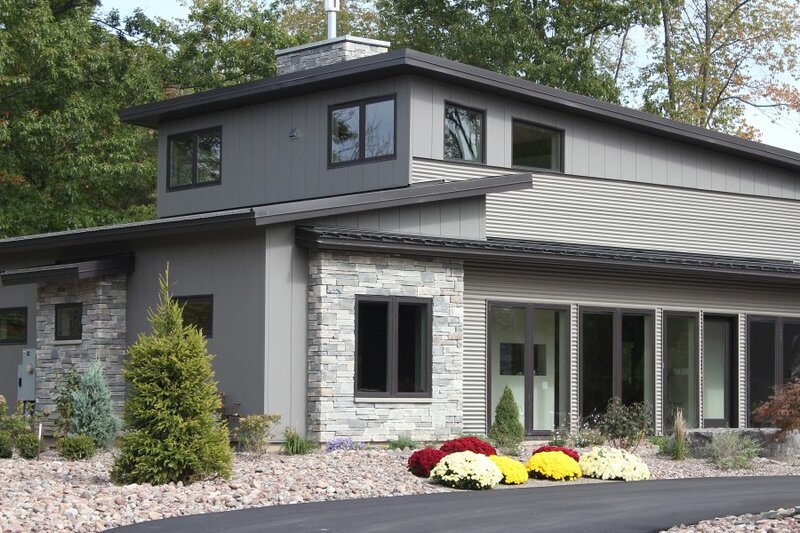 The roof is covered with standing seam panels without splices and the vertical wall panel is Butler® Manufacturing’s high end Flat Stylwall in Stone Gray color, complementing the myriad stone and trim work.